Concerned about the quality of your water in Indianapolis or surrounding areas? Call Service Plus Now! Our expert plumbers can test the water coming into your home and offer solutions for how to treat the water in your home and ensure it’s clean and healthy. Never ask “Where can I find water treatment services near me?” again! 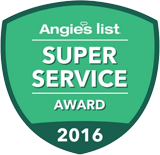 If you want clean, purified water for your Fishers or Indianapolis area home, Service Plus is the only name you need to know. Contact us today at (317) 434-2627 to learn more about our water filtration systems we offer in Indianapolis, Fishers, Carmel, and the surrounding areas. Clean water – When water comes out of the city pipes, you never know what will come along with it—many city pipes routinely test positive for rust, dirt, debris, and even lead! By installing a water filter in your home, you’ll get water that tastes and smells the way water should. By installing a water filtration system, you filter out all the contaminants that pollute your water. Therefore, not only will you improve the quality of your water, but you will also improve your overall health and well-being. Inexpensive and convenient pure water – Installing a water treatment system can save you a lot of money over time—and keep a lot of water jugs out of the landfill! Improved overall water quality – Poor water quality affects more than just your health—chemicals and mineral deposits in your water can build up in your pipes leading to clothes that get ruined by the washer, dishes with water spots, and hard water scale that can potentially damage your pipes. Running your water through a water purification system before it moves through your pipes can help keep all areas of your home safe from the effects of poor water quality. For more information on our water filtration systems in Indianapolis and the surrounding areas, contact us now! Why Call Service Plus for Whole-House Water Filtration Installation in Indianapolis? We value your time and know you’re busy. We will schedule an exact appointment time to meet you and perform your water purification job—and we’ll show up on time! Your water purification job will be done right the first time, and you’ll have peace of mind you made the right decision. Licensed and insured, we offer a 100% satisfaction guarantee. Ready to learn more about our hard water and unclean water solutions for Fishers and Indianapolis area homeowners? Call Service Plus now—(317) 434-2627! Have additional questions about water treatment?